Get registered for Tackle Football! Interested in coaching football this fall? Register here! 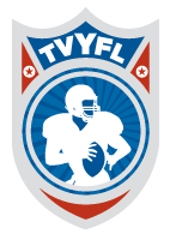 Want to earn some money being a youth football official? APPLY HERE! Thank You NW Self Storage for providing us a place to store our gear. Your 5x10 Storage unit is the perfect size for our shoulder pads, blocking pads and other gear to stay safe and dry during the offseason! Royal Scots Youth Football received a $500 Equipment Grant from USA Football and Riddell. This grant will allow us to purchase equipment to enhance the experience of our players.